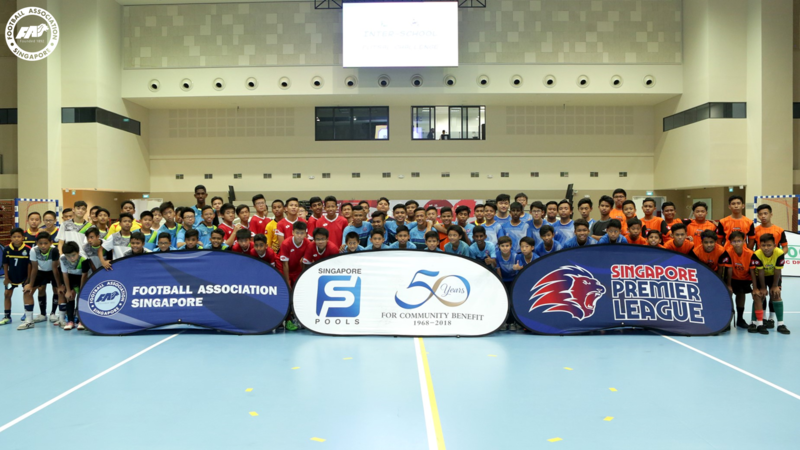 SINGAPORE, 20 August 2018: The Under-14 Singapore Pools-Football Association of Singapore (FAS) Inter-School Futsal Challenge (ISFC) 2018 officially kicked off at Our Tampines Hub (OTH) earlier today. Taking place from today until 30 August 2018, the U14 edition of the inaugural ISFC will see 40 teams from 35 participating schools competing for the coveted trophy. Separated into ten groups, the winner of each group and the six best runners-up across the groups will qualify for the next stage of the competition. The first day of competition saw Anderson Secondary School and Marsiling Secondary School top their respective groups to seal their progress, with the other teams undoubtedly looking to join them in the Round of 16 over the course of the week. The final will take place on Thursday, 30 August at 5pm, following the semi-finals and third/fourth-placing match at 3pm and 4pm respectively on the same day. The U14 tournament comes on the back of the Under-10 ISFC, which successfully concluded last month. The keenly-contested tournament ended with Woodlands Ring Primary School claiming the title after a 2-1 victory over White Sands Primary School, while Yangzheng Primary School took third place. The U10 ISFC was well received by the schools involved, with former Tanjong Pagar United FC player and Yew Tee Secondary School coach Asraf Rashid noting it was good exposure for budding players. Both the third/fourth-placing and final matches were streamed “live” on Facebook, which drew over 20,000 viewers and the FAS aims to build on the interest for this U14 edition. 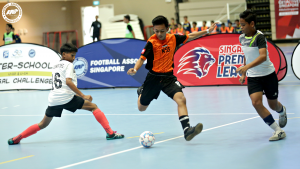 In line with the FAS’s objectives of developing youth players and increasing participation at the grassroots level, the ISFC is Singapore’s largest school futsal tournament organised for the U-10 and U-14 age-groups and is supported by Singapore Pools and the Ministry of Education. Check out the fixtures here and drop by Our Tampines Hub to support the teams!